One good (or bad, depending on your preference) thing will be ending soon. As the offseason winds down, so does the once-enormous number of quality free agents available, as well as some long-rumored trade deals that are on the hook for the Cubs. It’s been a weakly kept secret that the Cubs are looking for another arm in the rotation, while several teams are interested in one of the Cubs’ hot young bats. Many have been the times where IF Javy Baez and/or OF Jorge Soler have been mentioned in potential deals with teams, notably Cleveland and Tampa Bay, both of whom are in love with the young player(s). Among those free agents still available, is CF Dexter Fowler. There is one scenario where resigning Fowler, who initially rejected the Cubs’ qualifying offer in November, would make perfect sense. Cleveland has been highly interested in Soler for some time, and a deal involving P Carlos Carrasco would be a nice fit. Should the Cubs trade Jorge Soler, the very next move would ideally be to sign Fowler, or vice versa. It’s a simple matter of connecting the dots. With Soler out of RF, the Cubs can move newly acquired Jason Heyward over to right, his natural position, and have Fowler patrol center. In addition, this would effectively load the Cubs lineup (even more than it already is), for with Fowler you have a table setter who scores runs and also has some added power. Other potential suitors for Soler include Tampa Bay, who have been in pretty regular talks of late, for a deal for P Jake Odorizzi. Should the Cubs not want to move Soler or Baez, there are plenty of big prospect bats available that would be attractive for any number of teams. In all, these are good problems to have. I for one, believe the Soler-Heyward-Fowler carousel, as long as they’re adding a strong SP in the process, would be the best scenario for the Cubs. But then, how often do we get to have our cake and eat it too? 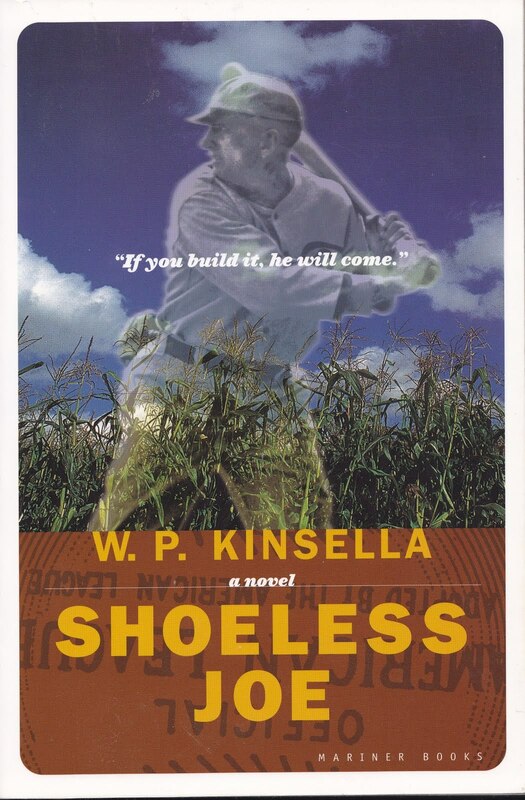 I’ve long maintained that Field of Dreams is not a baseball movie. Abner Bluestein: Real estate business partner of Ray’s skeptical brother-in-law Mark. JD Salinger: The book’s version of Terrence Mann. In real life Salinger threatened to sue if his personage was used in the film, so the fictional character of Mann, brilliantly played by James Earl Jones, was created. In the book, “the voice” that Ray heard was not a whisper. It was in the form of an old-style PA announcer. (Think Tex Rickards and you’ll get the idea.) This type of voice really puts a spooky charge into the creation of Ray’s leap of faith endeavor. Ray only built one part of the field at a time, not the whole thing like in the movie. The players didn’t disappear into the cornfield. Rather they exited the ballpark through a door in the left field wall. This was historically (at least partially) accurrate as many ballparks in the deadball era didn’t have tunnels through the dugout to the clubhouse. Most parks back then had their clubhouse entrances somewhere in the outfield, and some didn’t even have visitors clubhouses at all. When the field is fully built, a semi-transparent mirage of an entire stadium completes the effect, with ghostly players appearing along with the “real” players that first came to Ray’s field, which only Ray and his family can see or talk to. As such, they got to watch entire games and not just practices as were shown for much of the film. Thus, while not surprising that the novel lays out more detail and enriches the storyline, there is no real wrong answer as to which is better. Both are excellent. 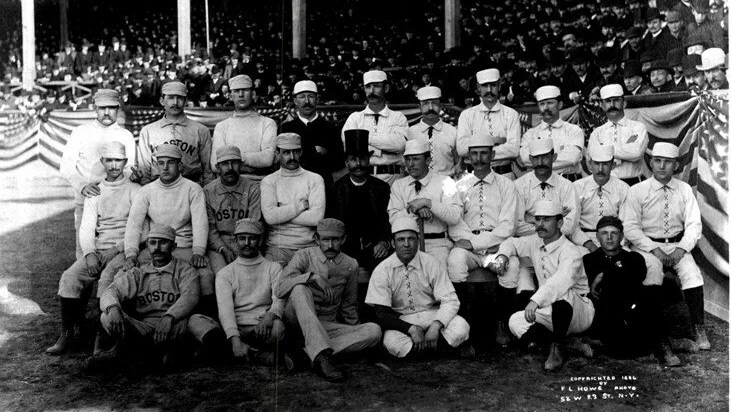 Yet the novel, in several ways, delves a bit deeper into the actual baseball angle, with several subtle references and offering tidbits of folklore about the game. While many of these are not present in the film, studying the book gives one that “oh! NOW that makes sense!” feeling when watching the movie. My advice: Enjoy both the book and film for the full experience of this magical story. …and go have a catch with someone. “…call it fate, call it luck, call it karma…” says Bill Murray’s Peter Venkman in the 1984 classic, Ghostbusters. On July 25th, 2015, myself and two fellow diehard Cubs fan friends made the drive from our suburban town of Joliet to Wrigley Field for the Cubs/Phillies game. We didn’t anticipate anything special that day, just a few friends attending a ballgame like we’d all done so many times before. Little did we know that we would witness history. “Keep score?” Bill asked, reading my mind. “Me too, that’s a great idea actually” he says, and we both proceeded to buy scorecards before entering the friendly confines. We then witnessed Phillies pitcher Cole Hamels hurl a no-hitter against our beloved Cubs, cruising to a 5-0 win. It was about the only time I remember being satisfied with a loss, what with seeing a rare piece of baseball history in person. Now of course, deciding to keep score at the last second had nothing to do with the gem Hamels would toss, but it sure makes for an interesting coincidence. Why we both decided to keep a scorecard on that particular day, not for countless games prior, and not since, is worthy of a head scratch or two. Just another slice of the magic of baseball.